NXT Takeover: Orlando is upon us. 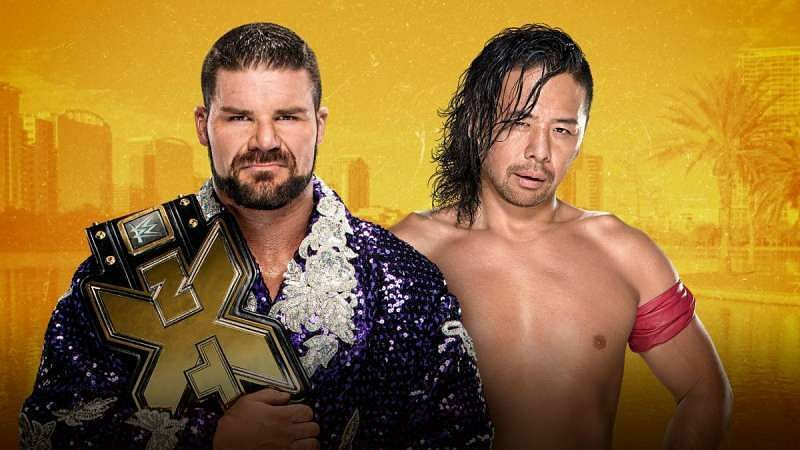 Coming up Saturday April 1st, one of the most exciting times throughout the WWE calendar year is when the stars of NXT get to display their talent on a bigger stage and this time will be no different. Tye Dillinger has been the target of SanitY’s attacks since the “perfect ten” refused Eric Young’s proposal to join the group. Dillinger got beat down week after week until No Way Jose and Roderick Strong came to his aid. Although those 3 together are a good force, SanitY still had the one up in the form of Nikki Cross. 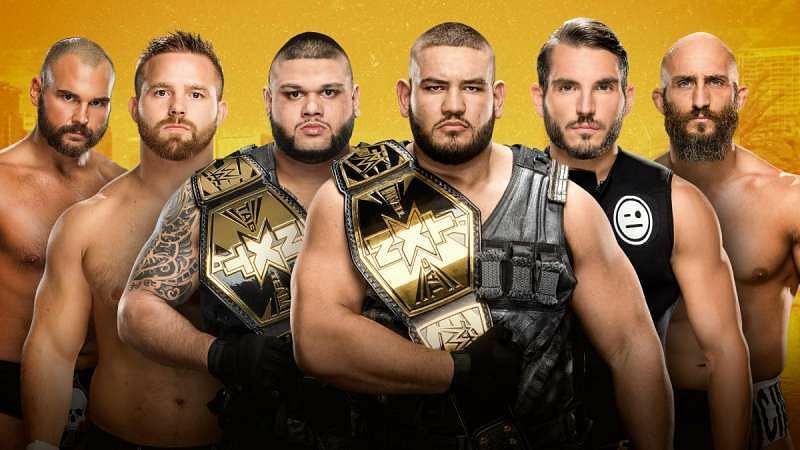 Whenever these six men would come to blows Nikki Cross would always be the x-factor in distracting either Dillinger, Jose or Strong so one of her boys could gain control again. But, on a recent episode of NXT, all of that changed…..
Ruby Riot made her NXT television debut to handle the part of SanitY that her now tag-team partners could not. In this match I am expecting the heels to go over the baby-faces. SanitY has been riding a wave of momentum since debuting and only it may be a matter of time until SanitY is holding all of the gold in NXT. For a number of weeks if you have been tuning in on Wednesday nights, you have seen a number of vignettes of a mysterious man who most fans already knew was Aleister Black or better known as Tommy End. If most of you do not remember or did not watch the United Kingdom Championship tournament, during a intermission of sorts, Aleister Black interrupted WWE superstar Neville and the two competed in a match that was better than expected considering this was the first time that many of us were seeing Black compete. Almas has also been improving and his heel-character is beginning to grow on me. I do believe that Almas still needs a mouthpiece of sorts, a manager who can do the talking for him like how Paul Ellering is with A.O.P.. 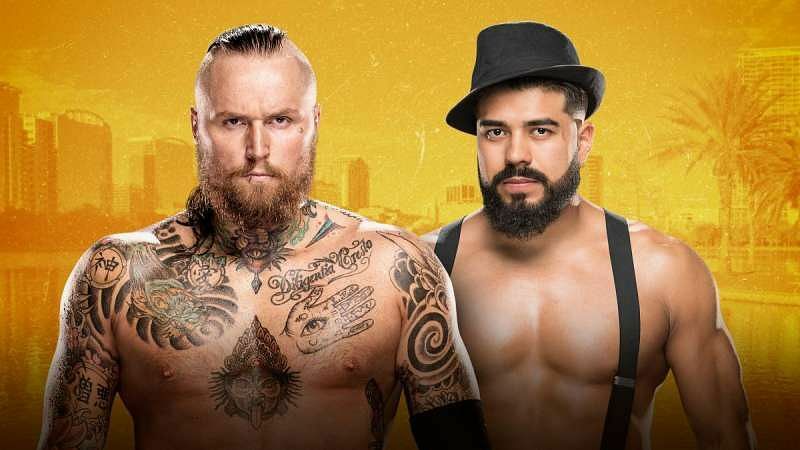 Although Almas has been impressive and this match will be the most hard hitting match in my opinion, Aleister Black will not lose his NXT debut match. This match will be the “show stealer” of WrestleMania weekend. From what we’ve seen #D.I.Y. and The Revival create which was the match of the year in 2016 to seeing Gargano & Ciampa make the A.O.P. look like the most dominant force in NXT’s tag-team division. It is hard not to say that having these three teams in the ring together will be nothing short of greatness. Now, I have a feeling this match may be a way to get the championships back on Gargano & Ciampa without having A.O.P. be outed so easily. Possibly, The Revival and D.I.Y. may put their differences to the side for a few moments to get the the monsters Akam & Razor’ out of the match and D.I.Y. and The Revival could clash one last time before Dash & Dawson head to the main stage. This hopefully will be The Revival’s last match in NXT. They have been apart of some of the best tag-team matches in the history of this brand. The Revival are arguably the best tag-team in professional wrestling and I would not be surprised to see them debut the RAW or SD Live after WrestleMania and I am positive by SummerSlam, Dash & Dawson will have gold around their waist’s on the main roster. I do not think that the creative minds behind NXT would take the titles off of A.O.P. after only 3 months of having the championships. But, Akam & Razor have become one of the more believable monsters in WWE so it is hard to see a team beating them clean. This may be the only chance that creative could get the titles off of A.O.P. with it being believable. Asuka is the longest reigning and most dominate NXT Women’s Champion in the brand’s history. She has ran through every opponent that has come her way since winning the championship at last year’s WrestleMania weekend Takeover. But, on the other side of the ring is Ember Moon. A few short months after Ember Moon’s NXT debut, many of fans were already stating that this would be the woman to dethrone the “Empress Of Tomorrow”. Ember Moon’s finisher, The Eclipse is one of the more eye-opening maneuvers by a superstar in recent memory and it has been protected heavily as I can not recall one person that has kicked out of the maneuver. I have proposed the idea of Asuka retaining the NXT Championship and competing in the SD Live Women’s Championship open battle royal that SD Live GM Daniel Bryan announced. Asuka could win the SD Live Women’s Championship and have to relinquish her NXT Title in order to move forward on the main roster keeping Asuka undfeated. That would be a good way to introduce fans who are not aware of Asuka to how good of a wrestler she is and certainly the crowd at WrestleMania would pop for Asuka if her music were to hit. Asuka has been competing in many house shows over the past couple of weeks which could be a sign that WWE is trying to warm up the fans to Asuka for a potential debut. 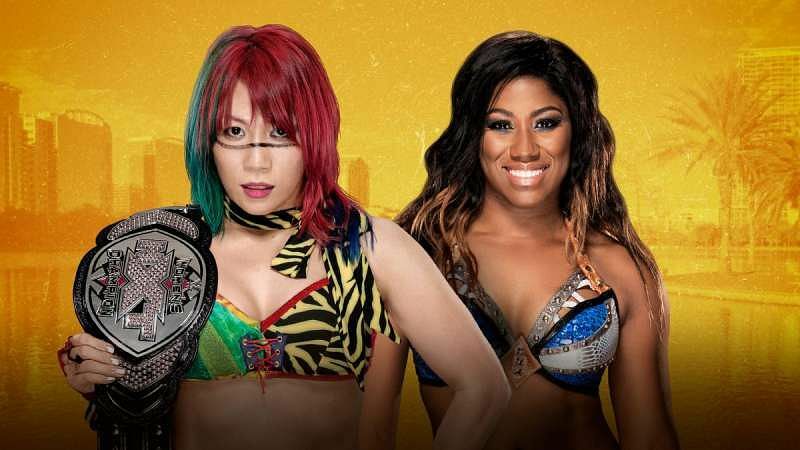 Either Asuka staying in NXT or moving up to the main roster, Ember Moon could be one “Eclipse” away from dethroning Asuka and becoming the new NXT Women’s Champion but ultimately, the “Empress Of Tomorrow” will continue her dominance. One thing for sure is that the entrances for this match will be great as always. But, in all seriousness I know that these two will step it up tremendously from their last match at NXT Takeover: San Antonio. In the last encounter, Nakamura had a “kayfabe” injury which led to Roode capturing his first NXT Championship. I for sure thought Nakamura was an out for this upcoming match, but the news broke of him being scheduled for NXT tours heading into the summer which leads me to believe he will be around the NXT Title picture until then.